Could the Raiders Look to Replace Derek Carr in the Draft? Why Are the Raiders Working Out Top QB Prospect Kyler Murray? 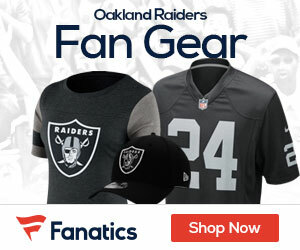 Sign up to receive our daily Raiders Gab newsletter, and keep up to date with all the latest Oakland Raiders news. Celebrity Seats has all the best Oakland Raiders Tickets, Oakland Athletics Tickets, and Golden State Warriors Tickets!